According to GreenPeace, we’ve produced 8.3 billion metric tons of plastics since the 1950s. Of that staggering total, just 9% was recycled. The remaining 79% has ended up in landfills or the natural environment, including our oceans. And the problem is set to get worse. About half of all plastics produced between 1950-2015 were made since 2002. If this kind of trajectory continues, 12 billion tons of plastic waste will be in landfills or the natural environment by 2050. The United Nations Ocean Conference estimated there will be more plastic in the oceans than fish by 2050. Don’t just let that statistic wash over you as you look for the next hit. Stop and think about that for a moment; breathe it in, try to imagine it, feel it. Think about the world your children and grandchildren will inherit from us if we let it happen. 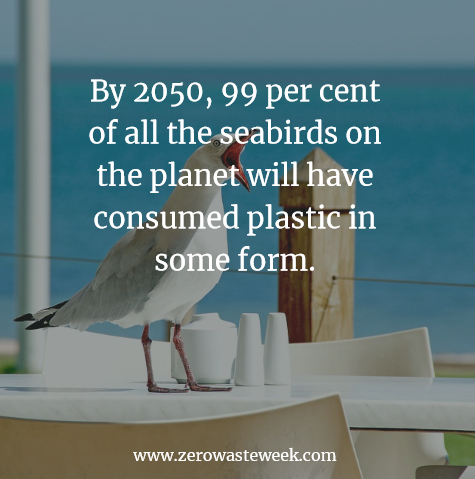 Along with there being more plastic in the oceans than fish, it is believed that by 2050, 99 per cent of all the seabirds on the planet will have consumed plastic in some form. Recognise anything that was found in its stomach? There are certainly things I use in there – lighters, bottle caps and a toothbrush. What about you? Some estimates say the sea now contains 51 trillion microplastic particles – 500 times more than stars in our galaxy. Munching on an carrier bag for lunch. He’s mistaken the bag for a jelly fish. GreenPeace tell us that plastic is so prevalent in our magnificent oceans that 1 in 3 turtles have now eaten some. Did you hear the one about the whale? In 2016, thirteen sperm whales beached themselves. Researchers found that four of the giant marine animals had large amounts of plastic waste in their stomachs; including over 40 feet of fishing net, a plastic car engine cover, and the remains of a plastic bucket. Oil takes million of years to form, we drill it out of the ground, turn into plastic, much of which is used ONCE before ending up in landfill, where it then sits for several hundred years. The Wildlife Trusts estimate that 177 species of reptiles, mammals and fish are at risk as a result of consuming plastic litter at sea. Plastic, our much-loved convenience product, causes death and injury to hundreds of thousands of seabirds and marine species every year through swallowing and entanglement. Would you like plastic for dinner? 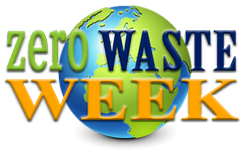 Many plastics do not completely disappear; they simply break into tinier and tinier pieces. When this happens in the sea, the floating plastic debris can absorb pollutants such as PCBs, DDT and PAHs. These small fragments of plastic then get eaten by fish who mistake the plastic as a food source. Some of these fish are then eaten by you and you end up ingesting these toxic chemicals. It’s not just affecting the people who pollute: the beaches of one of the world’s most remote islands have been found to be polluted with the highest density of plastic debris reported anywhere on the planet. The Great Pacific Garbage Patch is a soup of plastic waste, floating like an ‘island’ between Hawaii and California. It is estimated to span 1,351,000 sq miles and be and growing so fast it’s becoming visible from space. And that’s just one, there are four more gyres on the planet. Awww, sorry you’re in tears. But sometimes it’s these tears that lead us to take positive action, so I hope it has some ‘action orientated’ response for you too! I’ve put my website below – but it’s not live yet haha – still to nervous to post. One day. Thanks for writing this article! Sad and tragic, but we must face our current reality. I knew most of the facts and figures you mentioned already because I’m working on a similar article; except for the one about there being more micro plastics in the ocean than stars in our galaxy. Heartbreaking that we can create such a significant amount in such a short amount of time. Thanks again for spreading awareness on this issue, I look forward to seeing more from your site.